This week was dominated by the unfortunate demise of Jawbone. The company is set to be liquidated, but it'll also rise in a new form aimed in the direction of healthcare and helping patients, rather than the consumer market and fitness. There was also news from Samsung, which is - surprise, surprise - working on a Bixby smart home speaker. Although that seems to be caught up with a very minor problem: Bixby isn't so good at understanding English, and the company doesn't have the resources to fix the problem as quick as its competitors, like Apple, Amazon and Google, could. But that's not all that happened this week. Follow me as we skip through the garden of other stories we missed this week. If you need more of a fix, you can always head over to our dedicated news section. 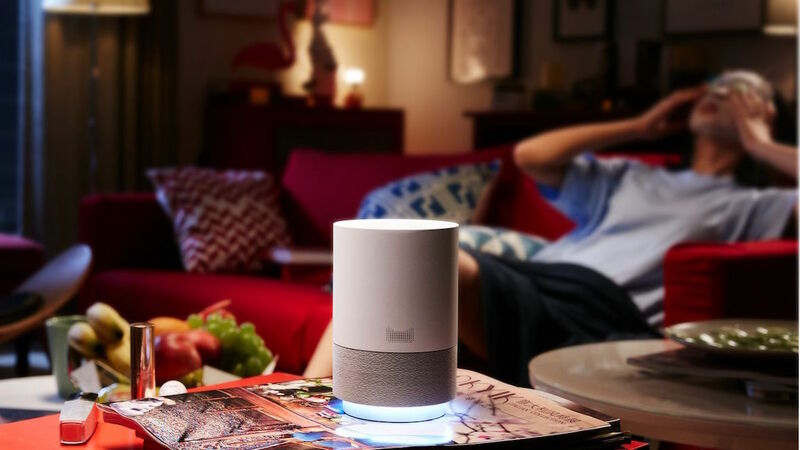 Chinese e-commerce giant Alibaba is also getting into the smart home speaker game. This week it unveiled the Tmall Genie, which can play music, use voice-controlled apps and even buy stuff for you on Alibaba's site. If that sounds familiar, it's probably because it's a lot like an Amazon Echo. That shouldn't be too surprising - Alibaba and Amazon are similar companies with similar goals, after all. Apple thinks it's so smart, slyly updating its patents to get ready for new product categories. Thankfully, the folks over at Patently Apple scrub these things for info, and they found an updated iCloud patent with references to a wearable device that can connect to the internet. Specifically, Apple lists "smartglasses" as a potential product. The Cupertino company has now updated patents for the Mac Pro, iMac Pro and ARKit with references to smartglasses. One of the most popular uses for wearables is working out, and when you work out you tend to get pretty hot. Or, sometimes you're out in the hot weather and you're producing a ton of heat. What if you could use that heat to power your wearable devices? A new study from a group of Zurich, Switzerland-based researchers explores that exact idea, outlining how you could use flexible thermoelectric harvesters to power wearable devices. The University of North Carolina, which some of the researchers work for, have developed one such harvester. This technology, of course, needs to be able to get even thinner, more efficient and be able to be mass produced for it to ever make it into our wearables though. The Apple Watch had a really good start, despite Apple not really knowing what it was until watchOS 3. It seems the HomePod could be an even bigger hit, according to new data from Raymond James. Around 14% of iPhone owners are interested in buying a HomePod, and since there are millions upon millions of iPhone owners, that means the HomePod could be a massive seller once it debuts later this year. Apple's still got some work to do though, as 16% of iPhone owners plan to buy an Echo device and 18% plan to buy a Bose bluetooth speaker.